Amazingly, this really happened in Australia earlier this year, and the government of Prime Minister Malcolm Turnbull is under fire as a result. 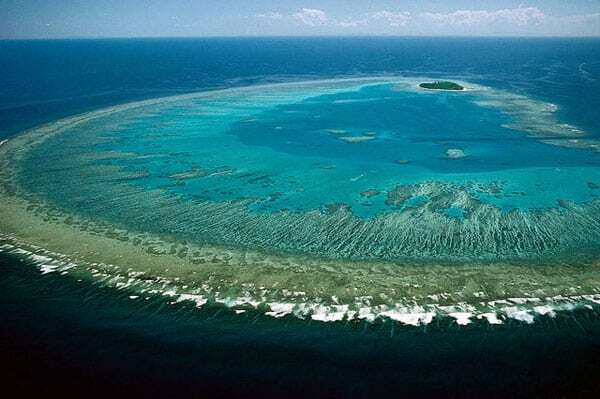 The grant in question is dedicating AUS$444 million to a single nonprofit, the Great Barrier Reef Foundation (GBRF), as NPQ covered back in June. GBRF, in its latest financials (from 2016), reported income of AUS$8 million and a staff consisting of six full-time employees and five-part time employees. This means that although they now have hundreds of millions more than they have ever had to work with, such work would have to be delayed while they upgrade their operational abilities to be able to manage their new funds. According to the Guardian, the Minister of the Office of the Environment, Josh Frydenberg, was aware of this prior to offering them the grant. The size of the staff isn’t the only thing that people find problematic; its makeup is suspect as well. The Foundation’s board and its connections include numerous fossil fuel professionals and companies. As Max Koslowski writes in Junkee, board members include Chairman John Schubert, a former Commonwealth Bank chairman and former director of Qantas; Grant King, current Business Council of Australia president and former Origin Energy chief executive; Michael Cameron, Suncorp’s chief executive; Maureen Dougherty, Boeing’s leader for the Australasian region; and Steven Sarget, former present of GE Mining. In other words, this is not your typical environmental nonprofit board. It’s no surprise that many have raised concerns about possible conflicts of interest. Despite these criticisms, Schubert insists to the Australian Financial Times that the nonprofit has “a track record of delivering—albeit on a smaller scale—very smart, wise projects which are already making a difference to the reef.” A list of the nonprofit’s completed and projected projects can be seen on their website. In general, critics acknowledge that the nonprofit has done good work. “The foundation has standard governance structures, and the support of credible, dedicated scientists. But what it does is essentially triage,” says Kate Mackenzie, director of finance, policy, and decision metrics at Climate-KIC (Knowledge Innovation Community) Australia. The biggest questions about the GBRF windfall don’t relate to its good luck in an opaque government decision, or even its connections to the fossil fuel industry. These are entirely valid concerns, but they risk eclipsing the bigger significance of the government’s move. What we also need to ask is: What does the foundation do? What are its outputs, its activities? And why would the federal government be so keen to direct such a huge chunk of funding to those activities? At best, the government’s massive funding dump is a long-shot attempt to save a few bits of the reef from inevitable degradation. At worst, it’s a distraction from that fate— and a diversion from addressing its causes.